WellFest – Ireland’s largest health, fitness and wellness festival – has announced details today (26.04.18) of the full line-up and schedule for its upcoming event. The festival, in association with KBC, is taking place at the Royal Hospital Kilmainham on 12th and 13th May and will feature over 150 health, fitness and wellness experts across 15 different stages. TV presenter turned fitness guru Davina McCall will be the star attraction on the main KBC Stage on the first day of the festival, with her toning class scheduled for 1pm. Earlier in the day, main-stage action will kick off with a POUND Fitness class, the cardio workout inspired by drumming sessions. 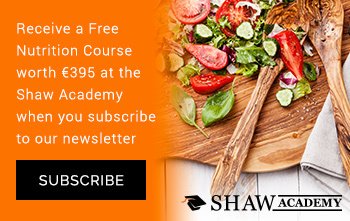 Yoga experts Shona Vertue and GypsyOn will follow, while later in the afternoon, Hollywood celebrity trainer Simone De la Rue AKA ‘Body By Simone’ will host one of her famous dance cardio sessions. There will also be STRONG by Zumba at 3pm; Wild Fitness at 4pm; and the Pure Results Challenge featuring a timed obstacle course will end day one’s activities on the KBC Stage. On Sunday, activities on the KBC Stage will begin with STRONG by Zumba, followed by ‘Yoga Flow’ with Patrick Beach from Commune Yoga in LA. Sunday’s headliner – ‘The Body Coach’ Joe Wicks, the man behind the ‘Lean in 15’ phenomenon – will take to the stage for a HIIT workout at 12pm. Nike master trainer Faisal Abdalla, AKA ‘Mr PMA’, will then follow with another high energy class. The final KBC Stage acts of the afternoon will be POUND Fitness; FRAME Rave, an energetic dance workout from London-based Frame trainers; and the Pure Results Challenge. Additional presenters were also announced today for the already jam-packed WellFest schedule. Returning for the third time to the popular WellFood area are famous Greystone twins The Happy Pear. Joining them at WellFood will be food company Currabinny – founded by Snapchat star James Kavanagh and his partner William Murray. Online fitness trainer Brian Keane and model and health and fitness guru Maeve Madden also join the star-studded line-up on the WellFit stage. WellMum, in association with The Stork Box – a dedicated area focused on pregnancy and parenting with activities such as baby yoga, antenatal Pilates and infant nutrition. WellMind, in association with BMW– an area curated by performance psychologist Gerry Hussey, featuring various speakers in psychology and mindfulness. Spin, in association with McSport – a brand new Spinning® zone and Ireland’s largest outdoor Spinning tent with 50 bikes that will host classes throughout both days of the festival. WellSoul – focused on the power of meditation and mindfulness. 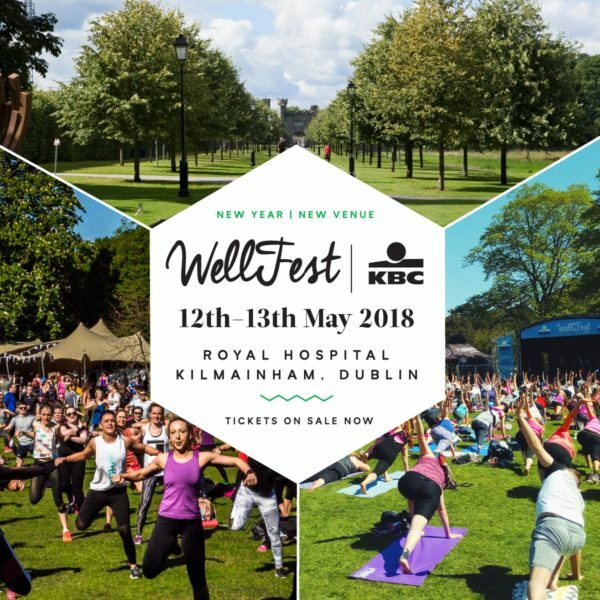 Commenting today, Katie Ryan, co-founder of WellFest, said: “We are really excited for WellFest 2018 in the new location of The Royal Hospital Kilmainham. This will be our fourth WellFest event, and we are extremely proud of how quickly it has grown: it’s now a ‘must attend’ event on the calendar for all health, fitness and wellness fans. During the two day event, KBC will host a range of exclusive classes at the KBC WellGood area including six boogie bounce classes; a fab, fun and extremely fat burning exercise class done on a mini trampoline with a safety bar choreographed to pumping music. In addition to this fitness specialist Tom Dalton will host two thirty minute boxercise classes. The weekend schedule offers a range of activities and classes that can be enjoyed by all including the line-up of exciting classes at the KBC WellGood area. A limited number of tickets for the festival are still available at: www.wellfest.ie. In addition to presenting partner KBC, the following partners are also supporting this year’s festival: Irish Life Health, Supervalu, Aura Leisure, Fulfil, Lloyds Pharmacy, Glenisk, Kerrigans Foods, Gym + Coffee Glofox, BMW,Platinum Pilates and Gourmet Fuel.